We follow Block & Chisel’s resident stylist Yolandi de Villiers as she heads in store to share her favourite pieces from Main Road, Diep River this April. This month Yolandi is focusing her attention on opulent jewel tones. From emerald to ruby, saphhire to gold, jewel tones continue to be a top trend throughout 2017. Using gold in home design goes back as far as ancient Egypt, and it has appeared in every period and style through the ages since. It goes without saying that gold is a timeless metal. Its symbol on the periodic table is Au, which originates from the Latin aurem meaning "shining dawn". From the tombs of ancient Egypt to the gold rhino sculpture of Mapungubwe, from Aztec ceremony pieces to Art Deco design, gold has represented wealth and plenty in a broad selection of cultures throughout the world and history. Other than its symbolic meaning, gold offers a warm, fire-like appearance, in turn, warming up a room's ambience. Use gold accents in your home as a nod to what this ancient metal represents across the world, be it as a metallic vase standing on a mantle piece, a gilded frame around an oil painting or the pattern detail woven into your scatter cushions. Add royal tones to your decor with touches of sapphire. From a sapphire-toned rug or a sofa upholstered in sapphire velvet, this blue jewel tone is one of the trendiest colours of the year. According to colour psychology, the deep blue stimulates the intellectual and improves focus, making it a good colour for office areas and places where you spend time socialising or listening to others. Sapphire is a colour that works in a wide range of different decor styles. Whether you opt for beach house rustic or ritzy 1920s chic, sapphire will keep your home looking fresh and interesting. Emerald, peridot, green agate and malachite are precious jewel tones that offer up a sense of renewal and richness in decor. Green is certainly a colour associated with prosperity, and jewel tones in this colour align well with this perception of luxury. Of course, it is also a reminder of the lush natural world. Emerald is a strong colour that can be used as a central focus, such as a emerald velvet sofa, or as accent accessories. Bring the outdoors in with this jewel tone. Give a room vibrant energy with the addition of the jewel tone ruby. It's a colour that will leave you in a positive mood thanks to its warm and cheerful character. Since it is an eye-catching, dynamic colour, we'd suggest using it to draw focus to a specific area in a room. A wingback armchair upholstered in a ruby velvet offers a splash of juicy colour, helping to uplift the general ambience. If you're not sure of this bold idea, we suggest incorporating ruby into your look using smaller items, such as scatter cushions and throws. 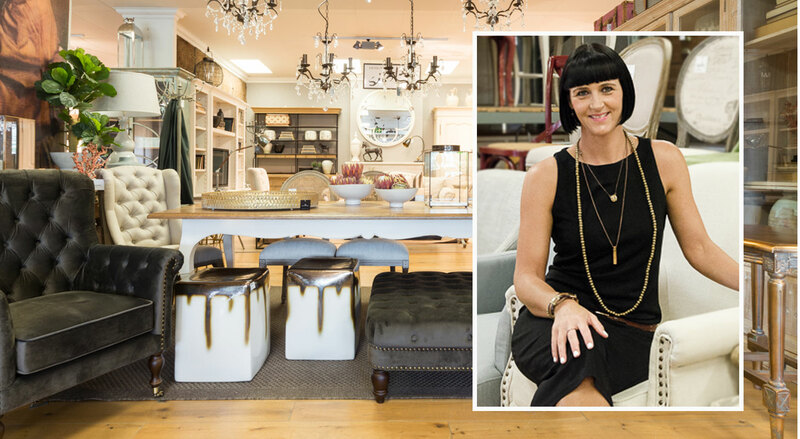 Visit our store on any given day and you’ll see just how much Yolandi and her team do to transform our showroom into beautifully styled spaces. New stock arrives weekly and gets snapped up just as fast, so follow Yolandi's recommendations and make sure you never miss a thing.